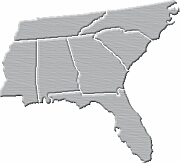 Since its founding by Marv Alberts in 1987, Alvent Distributors has provided full service, wholesale distribution of high-quality appliances to the entire Southeast Region of the U.S.
Our commitment to provide excellent customer service before, during and after each sale has made Alvent a known name in the industry. We take pride in maintaining a well stocked inventory to enable us to provide quick delivery to our customers. Alvent offers a complete range of kitchen products for the highest standard Indoor and Outdoor lifestyles! Call to learn about the Brands that will be your showroom’s next #1 seller.